Axel Richmond is a pitcher for the Dallas Gunslingers, an expansion team. He is vital to the team’s success, and his record with the Gunslingers is vital to Axel’s realizing his dream of pitching for the New York Yankees. His dream is threatened by a potentially career-ending shoulder injury. Not even the most intense efforts of the driven pitcher and his team have produced the healing for which they all are hoping. In fact, the damage to his shoulder has worsened. The time has come to make a difficult decision. Kasha Carlyle is two weeks into the three-month probationary period as physical therapist with the Gunslingers. Even though she was recommended by Rowdy Blanton, field manager of the team and husband of Kasha’s sister Breeanne, she still has to prove herself. Success is important because the job comes with a higher salary and improved insurance coverage, both necessities since Kasha plans to assume legal guardianship of Emma, her recently-discovered half-sister, who has Down Syndrome. Still, Kasha can’t keep silent when her professional opinion is at odds with that of the team physician and others who want Axel to undergo radical surgery that has had mixed results. She also disapproves of Axel’s own rigorous approach. If her less invasive, gentler methods fail, she could lose her job before the probationary period ends. 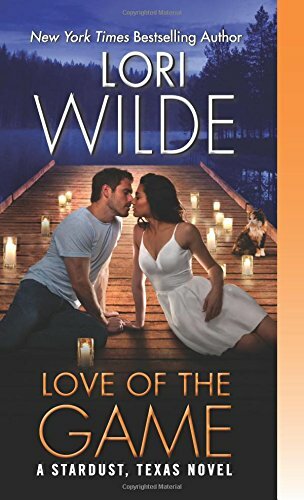 The attraction between the pitcher and the physical therapist is explosive, but both Axel and Kasha have heavy baggage that makes them leery of emotional involvement. Axel’s boyhood dream of playing for the Yankees became obsessive after the death of his young son. It is the thought of accomplishing the goal in memory of Dylan that drives Axel past the pain and discouragement. Kasha’s defenses are more entrenched. Although she was adopted by loving parents when she was seven, the horror she endured before then has shaped her into the person she is, a woman who makes calmness and peace priorities and fears the consequences of passion. Thus, in addition to the ethical concerns of involvement with a patient, Kasha has compelling personal reasons to resist the powerful feelings she has for Axel. Can Axel persuade her to open herself to the passionate love he offers? This is the third book in Wilde’s Stardust, Texas series, following Back in the Game and Rules of the Game. There is much to like in this book. The lead characters, particularly Kasha, are interesting, layered, and sympathetic. The relationship between Kasha and Emma is tender and moving, and yet Wilde also shows the reality of assuming responsibility for a child in an adult’s body. Axel is definitely an alpha, as befits his status as a major league pitcher, but readers know from early in the book that this alpha has heart. Readers who enjoyed the earlier books will be pleased to see Kasha’s adoptive family in secondary roles. However, the insta-lust is so heavy and hits so soon (in the opening pages) that I was turned off the book before I finished the first chapter. Although I give full marks to the author for a complex, emotional story, had I not been reading the novel for review, I probably would not have read far enough to appreciate the merits of the story. I do understand that some readers will see the early chapters as a plus, but I can give the book only a qualified recommendation. 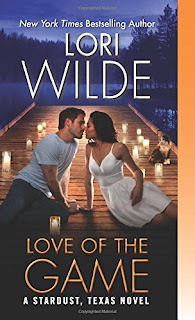 I read all of Lori Wilde's book. This one is in my TBR pile. I am anxious to read this latest book in the Stardust, Tx series...love hunky baseball players. Janga, I agree with your take on the insta-lust. It happens too early in too many books. It would be nice to get to know the characters and some of the story before these virtual strangers are heavily involved.